When I (or you) self-deprecate your card you are also self-deprecating yourself. Don’t make excuses, it doesn’t matter. It is better to project an air of confidence rather than one of unease and not feeling like you measure up. Remember, you’re not giving your card out in a vacuum the people requesting it have already met you, like you, and want to speak to you after you meet them because of who you are as a person – you and not your business card. 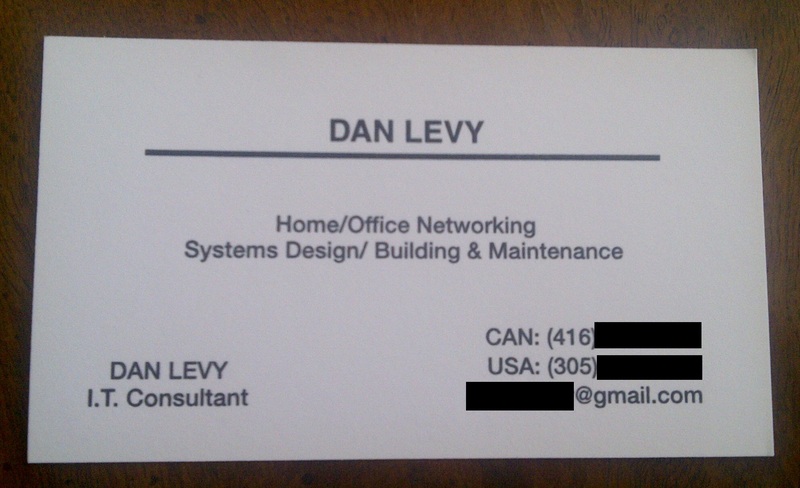 At the end of the day no matter what you think about your business card don’t obsess over such things. It is always better in life to project an air of self-assurance and confidence. It is also a good idea not to obsess about your business cards for a very different reason: you don’t want to end up like Christian Bale‘s character Patrick Bateman in “American Psycho.” Watch how he reacts to the different people’s business cards as they are shown to him. It is straight up hilarious, or it would be if the character wasn’t clearly so nuts. I really gotta re-watch that movie now that I think about it. Maybe I will re-watch it again over the weekend. Christian Bale is, in my opinion such a fantastic actor. NIce post. Been obsessing over my new card. And great American Psycho clip.